It will gives your car an unmistakably authentic sport appearance. This for RS5 style grill is made of strong black ABS plastic.You can easily paint it to match the color of your car.If you want to add a visual impact to your vehicle and make it look totally different, just take it to dress up your beloved car now! ExceptAMG C63 and CLC. FItting : Very easy installation, no need to jack up the car, no modification is required, only few screws to be removed, direct replace. Video instruction can be supplied. A very cost-effective way to give your car a fresh lift to stand out from the crowd. Mini Cooper, Cooper S, Convertible. Will fit: BMW 5-Series Type F10 Sedan and F100 Touring F18 (01/2010 onwards). GRILLE SPORT FOR BMW F10 F11 M5 LOOK GLOSS BLACK. Version: Gloss Black M5 LOOK. No modifications needed. Made from high Quality ABS. ExceptAMG C63 and CLC. FItting : Very easy installation, no need to jack up the car, no modification is required, only few screws to be removed, direct replace. Video instruction can be supplied. Spec : front radiator grille. This fits all A4 B8 models including Avant, S-line and S4. The grill has a gloss black badge holder as shown in the photo. The grill is made from automotive grade ABS plastic. You are able to attach your existing OEM badge onto this. Manufactured at top standard, with selected top quality materials, ultra light in weight, precise in design. A very cost-effective way to give your car a fresh lift to stand out from the crowd. It subtle transforms your car to a unique look without being crude. ALL VOLVO S40 V50 models from 2008 2009 2010 2011 & 2012. GRILLE SPORT FOR BMW E60 E61 M5 LOOK GLOSS BLACK. Will fit: BMW 5-Series Type E60 Sedan and E61 Touring. Version: Gloss Black M5 LOOK. No modifications needed. Made from high Quality ABS. 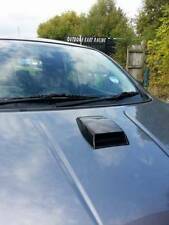 Universal roof scoop vent - Gloss black. Universal roof scoop vent. The internal molding incorporate two manually adjustable vents. Roof will require cutting; remove the protective film on top and fit over the hole. Will fit: 4-Series BMW F32 (Coupé), F33 (Cabriolet), F36 (Grand Coupé) F82 (M4) and3-Series F80 BMW M3. GRILLE SPORT FOR BMW F32 4-Series M4 LOOK GLOSS BLACK. Version: Gloss Black 4 LOOK. No modifications needed. 1 x pair of BMW X5 F15 SIDE VENTS IN GLOSS BLACK & CARBON FIBRE FINISH WITH X5M LOGO. X5M - M50d - 40d - 30d M Sport. WILL FIT ANY M SPORT F15 MODEL X5 2014 . Size:40"x13"/ 100×33cm. Made of high quality aluminium. Universal Fit for any bumper, body kit, fender, hood vent, vehicle opening, etc. 1x grille net. Prevent the destruction of the process of moving foreign objects on the vehicle interior parts. 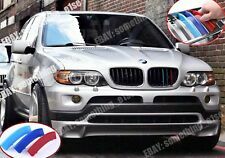 2x Carbon Fiber Front Hood Kidney Grille Grill For BMW F10 F18 5 Series 2010-15. For BMW F10 F18 2010-2015 Sedan Wagon M5 Look Gloss Black Front Kidney Grille. Fits for BMW F10 F18 2010-2015. For BMW E92 E93 Glossy Black Kidney Grille Dual Slat M4 Sport Grill 2010-14 CHF. Audi emblem logo holder for RS frontgrill. 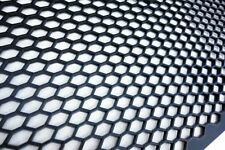 (honeycomb design). For this logo holder you need the audi ring of the following models Glossy black logo holder installation material. A1 2010-2018 (8X). For2004-2007 BMW E91 4-Door Touring (Pre-Facelift Only). For 2004-2007 BMW E90 4-Door Saloon (Pre-Facelift Only). Car Rear Wings Spoiler. 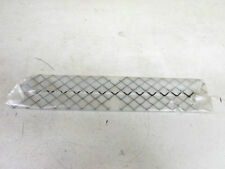 Car Bumper Grille. Sissy Bar Backrest / Pad. Color:Matte Black. Seat Badgeless Sport Grill. Seat Leon MK1 / Toledo MK2 Grill. This grill is for:Seat Leon MK1 1M1 (Models 1999-2006 NOTCupra / Cupra R / FR ), Seat Toledo MK2 1M2 (Models 1999-2006 ). Seat Leon MK1 1M1 (Models 1999-2006 NOTCupra / Cupra R / FR ). High Quality Gloss Finish, Weather Proof, UK Stock! It will gives your car an unmistakably authentic sport appearance. 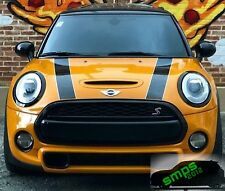 This for RS4 style grill is made of strong black ABS plastic.You can easily paint it to match the color of your car.If you want to add a visual impact to your vehicle and make it look totally different, just take it to dress up your beloved car now! Do you want to make your BMW 5 -series look sporty ?. 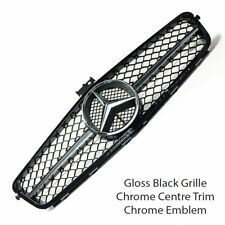 Are you looking for new black kidney grills to replace your old broken ones?. Made of high quality ABS material, our latest car grilles are high in hardness, but light in weight. This is the front black grille fitted as standard on the new 2016 facelift DS3. We are a main dealer for our franchised vehicles. VW Golf MK5 5 Jetta MK3 3 Bonnet Notch Filler Badgeless Debadged Grill No Emblem. VW GolfMK5 Badgeless Sport Grill. VW Golf/Rabbit MK5 Grill. VW SEAT Golf MK4 4 MK5 5 MK6 6 Passat EOS Scirocco Tiguan Race Racing Tow Hook R.
W205 C Class Saloon/ Sedan models except AMG C63. S205 C Class Estate/ Wagon models except AMG C63. DIAMOND BLACK GLOSS GRILL ALSO AVAILABLE. Shinny Black Front Kidney Grill Trim For AMW E90 E91 Saloon Sedan 4DR 2005-2008. Front Grille Grill Bumper for AMW E63 E64 645Ci 650Ci 650i M6 Coupe/Convertible. Matte Black Kidney Front Grill M5 Grilles for 5-Series E39 Touring Saloon Sedan. BMW F20/ F21 1 Series Sport Kidney Grilles. Suitable for all models from 03/2014 ONWARDS (LCI). Supplied in Gloss Black. High quality grilles with simple installation. All bookings must be made in advance. Fits BMW X3(f25), X4(f26) from 2011. One set (3 pieces) : light blue, dark blue, red. Precisely made in ABS, which provides vivid inherent color, that will never fade or get chipped. Super convenient to install and remove, just simply clip on and off. For BMW LCI 1st generation X5 (E53), facelift models only, which are made from 2003, that have7 slats in each kidney grille. Do not fit if your car is before facelift! One set (3 pieces) : light blue, dark blue, red. VW CRAFTER 2012-2017. STAINLESS STEEL 6 PCS. Press firmly so that every piece of tape can adhere to the windows sill surface. Do not yet remove the protection foil of the double-sided tape on the back! A very cost-effective way to give your car a fresh lift to stand out from the crowd. 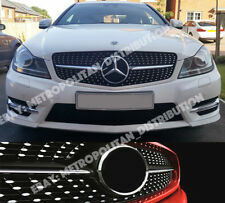 This front grille update is in line with AMG's newest design language. It subtle transforms your car to a unique look without being crude. Size:40"x13"/ 100×33cm. Universal Fit for any bumper, body kit, fender, hood vent, vehicle opening, etc. 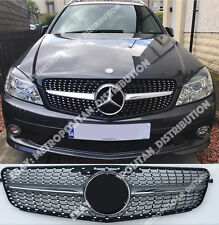 1pc black body grille net. Made of high quality aluminum alloy material. Material: Aluminum alloy. You are buying 1 pair of ralliart style front grille. Fits only Mitsubishi L200 or triton year 2005-2008 models as 2nd picture . CANNOT FIT L200 UK MODELS 2011-2016 MODELS AS 4th PICTURE. - This item is 1.5mm thickness. Only for E46 with original grilles that Coupe,convertible Pre-LCI (before facelift), has 10 beams;. One set (3 pieces) : light blue, dark blue, red. Precisely made in ABS, which provides vivid inherent color, that will never fade or get chipped. Easy to install and it gives your car a new front look. 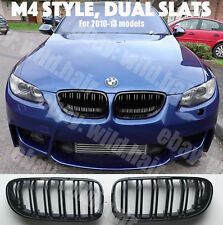 Gloss Black Kidney Grille TWIN SLAT fit for BMW F20 F21 1 Series 15-16 M Look. For BMW F30 F31 F35 3 Series 2012-2016 Kidney Grill Grille Gloss Black Dual Line. Notice: NOT fit S-line, S4, RS4 bumper! 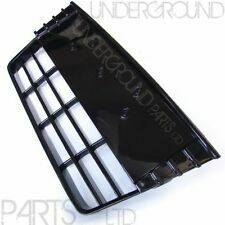 -Interchange Part Number:Gloss Glossy Black Front Bumper Cooling Grill RS S. 1 Pair Fog Light Grilles(1 left & 1 right). -Type:Fog Light Grilles. -Other Part Number:Pre-Facelift Lower Inlet Airflow Oil Cooler Cover. Focus RS Style Bonnet Vent –ABS Gloss Black. Bonnet will need cutting prior to fitting vents . · Pair of RS Vents (Gloss black). The slots have beenCNC cut for precise, clean slots, which makes the vent functional. Grille trim fit to the original grille. Box contains: 6 x grille trims. Easy installation ( no drill installation ) Surface finish: Mirror polished stainless steel. Clean surface and install with double-sided adhesive tape. 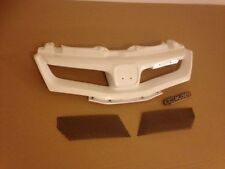 For Subaru WRX / STI 2015 2016 2017 2018. Application: For Hood Scoop Overlay. 1 x 3D Carbon Fiber Hood Scoop Overlay. ● 3D Carbon Fiber Pattern, make you car looks stylish. ● Wash the car wax to do not affect. BMW E61 5 Series 2003-2010. BMW E60 5 Series 2003-2010. BMW M5 2003-2010. 2 Grille (right and left side). Part Number: 51712155446,51712155447. A very cost-effective way to give your car a fresh lift to stand out from the crowd. It subtle transforms your car to a unique look without being crude. Spec : front grille. The grill is made from automotive grade ABS plastic. It replaces the original grill and can be fitted in minutes using the existing screw holes. I can provide bonnet catch shortening instructions too (if required). Made of high quality aluminium. 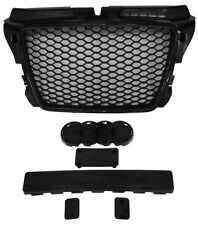 Universal Fit for any bumper, body kit, fender, hood vent, vehicle opening, etc. 1x grille net. Size:40"x13"/ 100×33cm. Prevent the destruction of the process of moving foreign objects on the vehicle interior parts. Pair New Gloss Black M-Color Front Kidney Grill Grille For BMW E60 E61 03-10. Fits for BMW E60 E61 2003-2010. -Type: Front Grille. -Color: M-Color Gloss Black. -Size: 33 x 19 x 5.9cm. One Pair Front Grilles (left and right side). 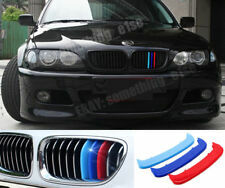 3pcs M Color Front Kidney Grille Strip Covers Decoration For BMW 3 Series E90 E91 LCI 2009-2012. BMW 3 Series E90 /E91 LCI Facelift 2009-2012 with 12 bars on the grille. 1 set Strip Covers (3pcs). Dark Blue Length: 13.8cm.